Might a research heavyweight open a new door to gigabit speed with the use of copper? Alcatel-Lucent on Wednesday said it set a new world record broadband speed of 10Gbps for transmission of data using traditional copper telephone lines. The prime mover of this breakthrough was Bell Labs, the research arm of Alcatel-Lucent. What is more, the Labs' use of a prototype technology, according to the announcement, shows how existing copper access networks can be used to deliver 1Gbps symmetrical ultra-broadband access services. "The Bell Labs tests used a prototype technology called XG-FAST. This is an extension of G.fast technology, a new broadband standard currently being finalized by the ITU. When it becomes commercially available in 2015, G.fast will use a frequency range for data transmission of 106 MHz, giving broadband speeds up to 500 Mbps over a distance of 100 meters. In contrast, XG-FAST uses an increased frequency range up to 500 MHz to achieve higher speeds but over shorter distances." Federico Guillén, president of Alcatel-Lucent's fixed networks business, said, "By making 1 gigabit symmetrical services over copper a real possibility, Bell Labs is offering the telecommunications industry a new way to ensure no customer is left behind when it comes to ultra-broadband access." Bell Labs achieved 1 Gbps symmetrical over 70 meters on a single copper pair. The 10 Gbps was achieved over a distance of 30 meters by using two pairs of lines (a technique known as "bonding"). Scott Bicheno, editorial director, Telecoms.com, offered this observation about the Wednesday announcement: "The main practical significance of all this broadband speed showing off is the potential to overcome the bottleneck currently inhibiting fiber-to-the-home (FTTH), or indeed fiber-to-the-whatever (FTTX), which concerns the final few meters to the final connection that typically still uses copper, rather than fiber. If speeds over copper can match those over fiber then problem solved, in principle." Jim Barthold, in FierceTelecom, noted how the results were achieved over 30 meters bonding two pairs of lines of standard copper supplied by a European operator, and demonstrating how existing networks can be used to deliver 1 Gbps symmetrical ultra-broadband access services. 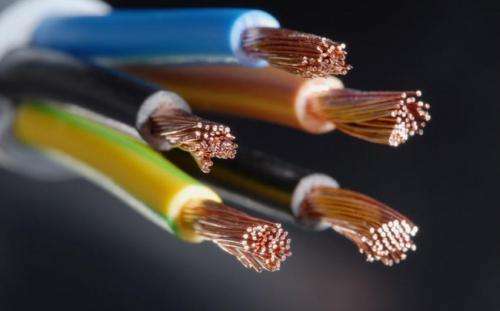 Barthold noted too that "Wringing more bandwidth from copper is essential for telcos that face both financial and structural hurdles in replacing existing infrastructure with fiber at the same time the cable industry continues to use its DOCSIS 3.1 specification to jack up speeds over hybrid fiber/coax (HFC) networks."